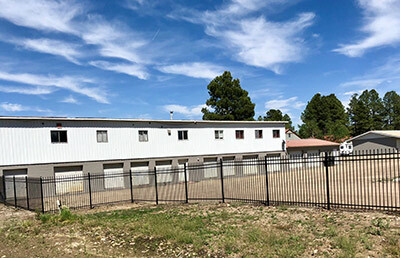 Pagosa Secure Storage | Providing Pagosa Springs with secure and accessible storage. Our storage units are conviniently located one block from highway 160 in Pagosa Springs. Choose from unit sizes of 8×12, 12×24, and 16×24 in a secure storage facility. Are you looking for long-term parking for your RV, boat, or trailer? With top of the line video surveillance, you can feel safe and secure with your long-term storage. We are conveniently located one block away from highway 160 next to City Market at 80 Bastille Dr. Pagosa Springs, CO 81147. Come by to see the secure storage! Pagosa Secure Storage is proud to provide the people of Pagosa Springs and the surrounding communities with secure, clean and accessible 24-hour RV and self storage. We are proud to be a locally owned and operated small business. 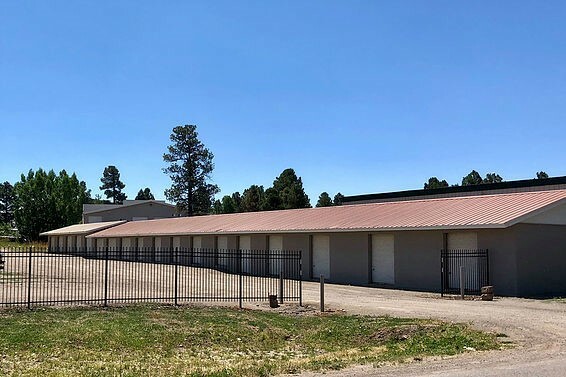 If you are in need of reliable, affordable and flexible RV storage or mini storage in Pagosa Springs, CO, then you need look no further than Pagosa Secure Storage. As a locally owned and operated small business, we always put our customers’ needs first. We know that trusting a stranger to keep your belongings safe can be stressful, which is why we strive to deliver friendly, helpful and transparent service at all times. 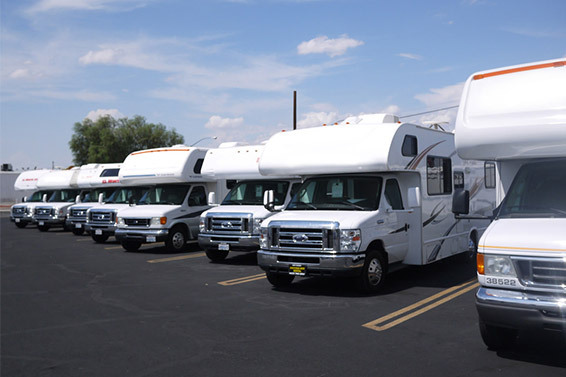 At Pagosa Secure Storage, we offer 24-hour access, a large turning area for RVs and large vehicles, individual lighting in each unit, security lighting, and both long and short term rentals. Unsure how much room you’ll need? Our self storage units are available in the following sizes: 12’x23’ and 16’x23’. We believe that when it comes to self storage in Pagosa Springs, CO, the customer’s convenience should be valued above all else, which is why we are so flexible. We offer flexible and convenient RV and mini storage with 24-hour access. Each unit has lighting and is safe and very accessible. We offer both short and long term rentals. Our prices are always fair and consistent. Are you in need of immediate storage? Call us or send us a message to reserve the storage unit or parking space that is best suited for your needs. With a quick call, you can claim a storage unit while it is still available. Too often, self storage units in Pagosa Springs, CO are unsafe, poorly lit, hard to access and offer poor service. Fortunately, there is a highly respected and helpful alternative: Pagosa Secure Storage. As a locally owned and operated small business, our number one priority is to provide you with convenient and affordable storage solutions. Security and accessibility: Our RV and mini storage units are the most safe and convenient in the area, and include such features as 24-hour access, RV parking and storage, a large turning area, utilities (available upon request), unit-specific lighting, security lighting and concrete block structure. Various sizes: Here at Pagosa Secure Storage, we strive to be the only storage service you ever need, which is why we offer a range of different storage size options. The different sizes we’re able to offer include 8’x12’, 12’x24’ and 16’x24’. Flexible rentals: Life is unpredictable, and sometimes you might need storage for a longer or shorter period of time than you initially anticipated. Rather than punishing you with high prices and inflexible agreements, we are happy to offer both long term and short term storage solutions. Commercial storage: Is your business overflowing with documents and equipment you want to keep, but do not need to access on a regular basis? If so, get in touch with Pagosa Secure Storage and ask about our commercial storage rental in Pagosa Springs, CO.
To learn more about the above services, please get in touch with Pagosa Secure Storage at any time. You can give us a call at 970-264-6116, or visit our Contact Us page for more information. We look forward to meeting your personal or business storage needs! What sort of security do you have for the storage facility? We take security very seriously at Pagosa Secure Storage. That is why we have 24-7 video surveillance for the whole facility. 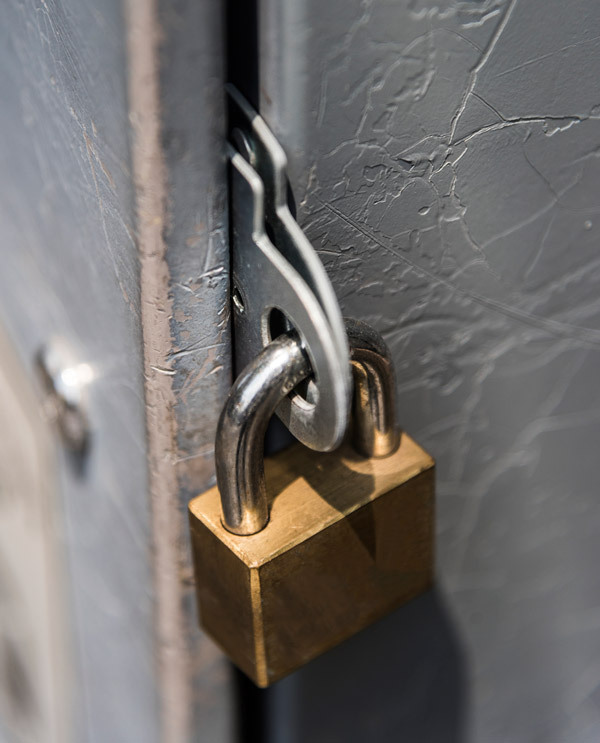 Regardless of if you are renting a storage unit or storing a vehicle in the parking lot, you can feel safe with the highest level of security. What size storage units are available? We have three sizes of storage units available to the public. The choices are 8 x 12, 12 x 24, and 16 x 24. Contact Us for pricing and availability to find the right space for you. Is Pagosa Secure Storage a locally-owned company? Glad you asked! We are proud to be a locally owned business in Pagosa Springs, Colorado. Pagosa Springs premier storage units are locally owned by Tim and Lorri Sullivan. Where is Pagosa Secure Storage located at? We are conveniently located just one block off of Highway 160 near City Market in Pagosa Springs, Colorado.